The MST Ribbon module brings control to a whole new surface and fills out an already generous selection of modules designed by George Mattson. The Ribbon module pairs with Synthrotek’s Ribbon Controller Touch Interface modules that are available in various lengths in both 3U and 1U formats. 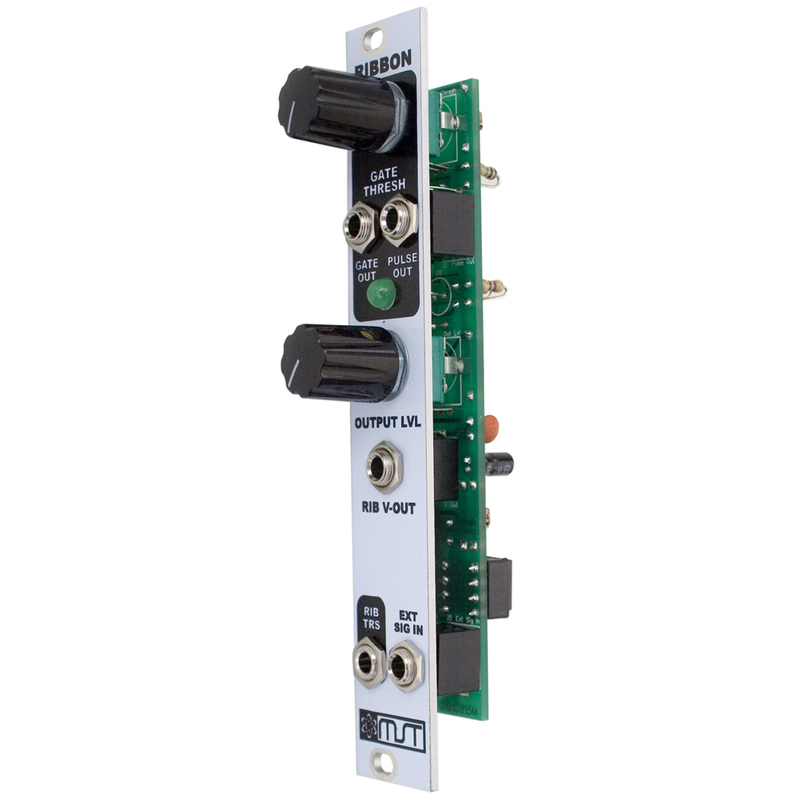 Control Voltage, Gate and Pulse outputs allow for mega control over pitch, modulation, quantization, volume and more! Also connect your external signal into the EXT SIG IN jack to bypass the modules on-board voltage for passive external attenuation. Exponential taper on RIB TRS input. Separate Gate and Pulse out.